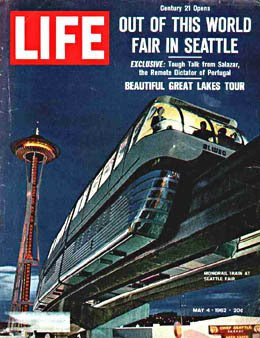 As the 1950s blended into the early 1960s, both Portland and Seattle invited the world in for a look. 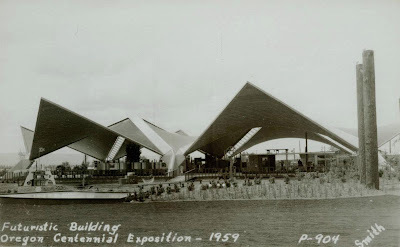 The Oregon Centennial Exposition and International Trade Fair was held in Portland in 1959, the Seattle’s Worlds Fair in 1962. 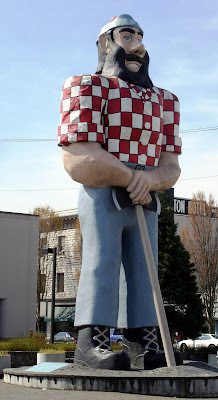 It has been said that, for better or worse, the two surviving icons of the fairs; Portland’s Paul Bunyon stature and Seattle’s Space Needle tell much about their host cities that true hold even to this day. 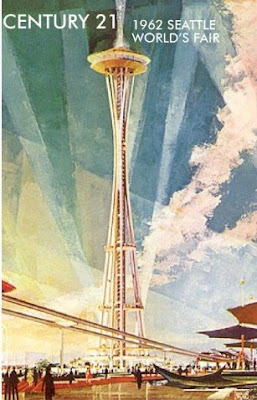 Seattle, sleek, flashy, brash, called for the world and reached for the stars. Portland was more grounded, modest, its international pitch seemingly an afterthought. A city comfortable with itself and frankly, a little weird. 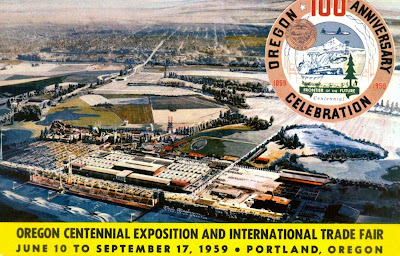 The Oregon Centennial Exposition and International Trade Fair was an odd combination of Tomorrowland and Frontierland, where the future and the past mixed with incongruous results. The Kenton Neighborhood informed the interested party that Mr. Bunyon was not for sale. There the story happily ends. 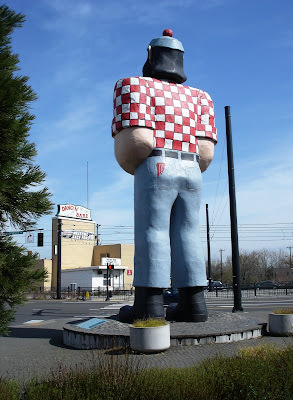 For if Paul Bunyon for quick cash, it would have said something else about Portland altogether. If there had been a few less financial panics, a few more miles of railroad built, a few less steamships vanished beneath the waves; Portland would have had a major rival in Yaquina City. As the western terminus of the Oregon Pacific Railroad, Yaquina City (five miles east of Newport) was positioned as an alternative shipping point for farmers in the southern half of the WillametteValley, lumber from the Cascade Range and a transcontinental connection with the Chicago and Northwestern Railroad which was building west from Wyoming. The late 1880s were a time of grand dreams. The Oregon Pacific was one of them. What is amazing is how close it came to being reality. The Coast Range was crossed, a route over the Cascades was well under construction. Oregon Pacific steamships ran from Yaquina Bay to San Francisco and riverboats connected it to Portland at Corvallis. In far eastern Oregon grading was taking place. But the ships had a tendency to sink. Then the money ran out. Eventually the railroad was sold. Today, what survives is a workday branch line to a paper mill at Toledo. Yaquina City is forgotten. 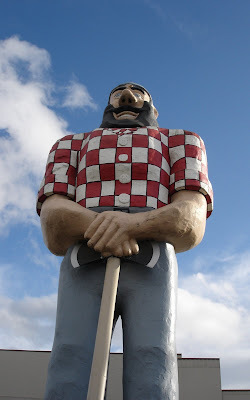 And Portland never had to contend with the greater Yaquina Metropolitan area. An Oregon Pacific trestle on the way to Yaquina City, west of Toledo Oregon. Near the former site of Yaquina City are the Oregon Oyster Farms. 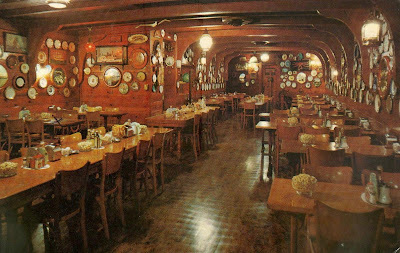 Since 1907 it has been the primary source of Oysters for Portland’s iconic seafood restaurant, Dan and Louie’s Oyster bar. Dan and Louie’s Oyster bar. In 1956, after numerous disputes with the city, the Portland Traction Company lost its franchise to operate Portland’s transit system. 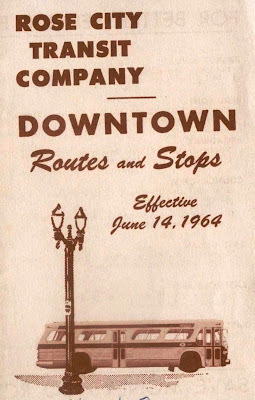 The company’s San Francisco based ownership re-constituted its operating division as the Rose City Transit Company, albeit with much the same leadership, and eventually re-negotiated a new franchise to provide Portland's public transportation. Rose City Transit held the franchise to operate Portland’s transit system until the formation of Tri-Met in 1969. But what was to be done with all those obsolete Portland Traction tokens, some dating as far back as 1942? A Portland Traction token to the left, right, a Rose City Transit token.. There were two and a half tons of them. One million two hundred and fifty thousand tokens with a street value of $208,000 as they were still acceptable tender on Rose City Transit buses. Unsuccessful attempts were made to melt them for the German silver they contained. Perhaps they could be embedded in a Portland bridge pier? The answer was no. Four officials of the transit company with two trucks full of tokens were dispatched to Newport. There, they met by Stan Allyn, skipper of the Kingfisher, a charter out of Depot Bay. Sixty seven bags of tokens were loaded onto the boat and taken out into Newport Harbor. The officials dropped them, one by one, over the side of the boat. A snippet of East Burnside at 10th taken from the roof of today’s Hippo Hardware (one of the “Burnside Arcades”) is followed by chaos on SE 6th and Yamhill, today a transit mall street. Order is brought to the scene by a traffic cop. A view of SW Sixth and Morrison, unique not so much for what it shows but for its setting, a view from; an upper floor on the north east wing of the legendary Portland Hotel, was torn down in 1951, It is the present location of Pioneer Courthouse Square. 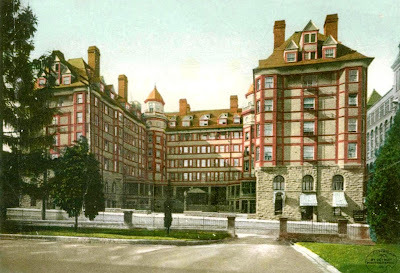 Below, the Portland Hotel. A cavalcade of 1930s Portlanders take a try at crossing Burnside at East 32nd in 1939. 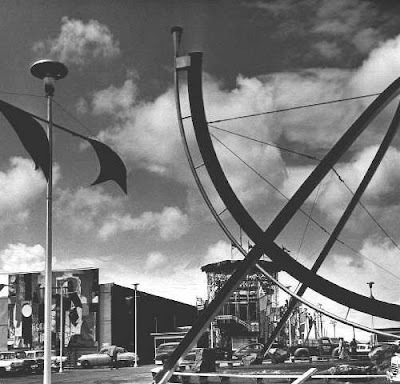 The film was taken from the corner where Music Millennium is now. The Laurelhurst gate seems strangely absent, but with close observation it can be seen, obscured by ivy. 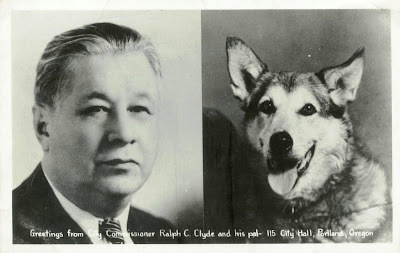 Portland's Commissioner Clyde and his pal remind you that Tuesday is Election Day! Gamble Jerk Casino online italy Quando si iscrivono a un sito web di casinò online, il nuovo giocatore singolo vorrebbe compilare i dati di mercato e non passarli sopra per formare un'intera selezione basata principalmente sui risultati forniti dagli elenchi dei casinò. Ketoboost Forskolin No food 3 hours before bedtime. If you head to bed at 9 o'clock then you should eat dinner at vi PM. If you move to bed at the hours of darkness then you ought to eat your last snack at 9 PM. This very is not too difficult to try and do, and it will be the difference between gaining a lot of weight and losing a ton. Don't drink beer. I grasp it can be really tough however you really shouldn't be drinking a ton of alcohol. You can't, however drink wine each night, however not the entire bottle. A glass or 2 of wine tonight won't does one any harm. When I say a glass, I do not mean one of these huge glasses, I mean a traditional glass.